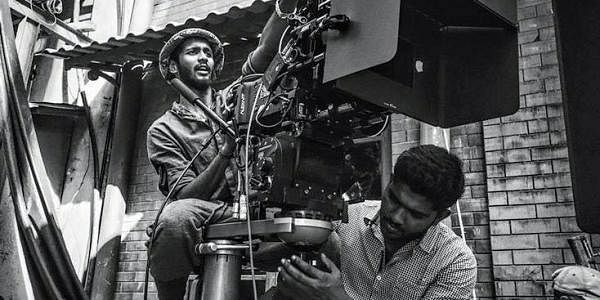 Well-known cinematographer Ravi K Chandran’s son Santhana Krishnan has been roped in to crank the camera for Vikram’s Dhruva Natchathiram, which marks his debut in Tamil filmdom. “He has been working on the project for a while. Gautham Vasudev Menon had met Santy (Santhana Krishnan) through a common friend and they both instantly bonded. He was impressed with Santy’s passion for the craft and his energy,” a source told CE. Santhana, 22, made his debut with Malayalam film Two Countries (2015). Born and raised in Chennai, Santhana moved to Mumbai four years ago after completing a course in cinematography from Singapore. He started his career as an assistant to Ravi Varman in Sanjay Leela Bhansali’s Ram-Leela (2013), and went on to work on other projects such as Bewakoofiyaan (2014), Happy New Year (2014) and Yamla Pagla Deewana (2011). Santhana is working on a Malayalam project (a Prathap Pothen directorial) in his kitty.